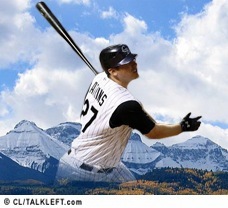 The Colorado Rockies face the Boston Red Sox in Boston tonight at 8:20 pm ET. The game is being aired on Fox. Bump and Update: The Rockies win. The crowd's screaming. The team is going crazy. The Diamondbacks are just staring. There's fireworks, I can see and hear them from my terrace a few miles away. It's the Purple Reign. 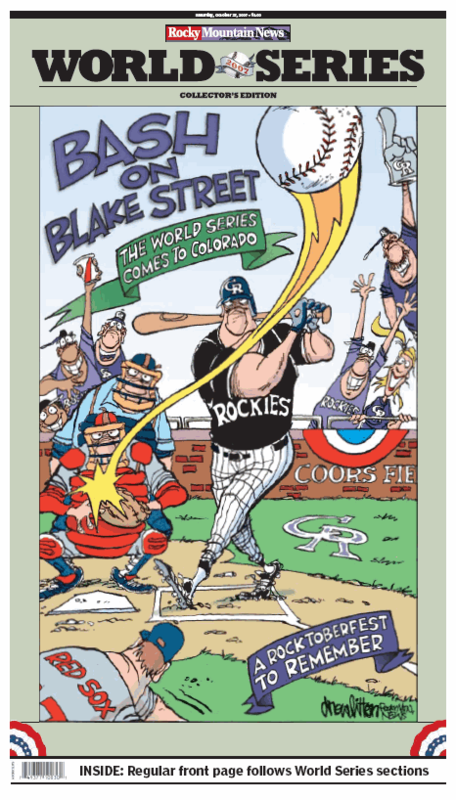 Congratulations, Rockies! The floodgates just opened in the 4th inning. 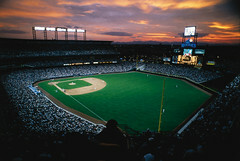 It's 6 to 1 and if the Colorado Rockies beat the Arizona Diamondbacks tonight, they go to the World Series. The crowd is wild. The Diamondbacks' manager looks totally defeated. The game is being broadcast on TBS. Even for a non-sports fan like me, it's very exciting. Tune in if you get a chance.